A Diamond Select Toys release! This is no joke - the Joker is the second figure in the Batman: The Animated Series Gallery line! 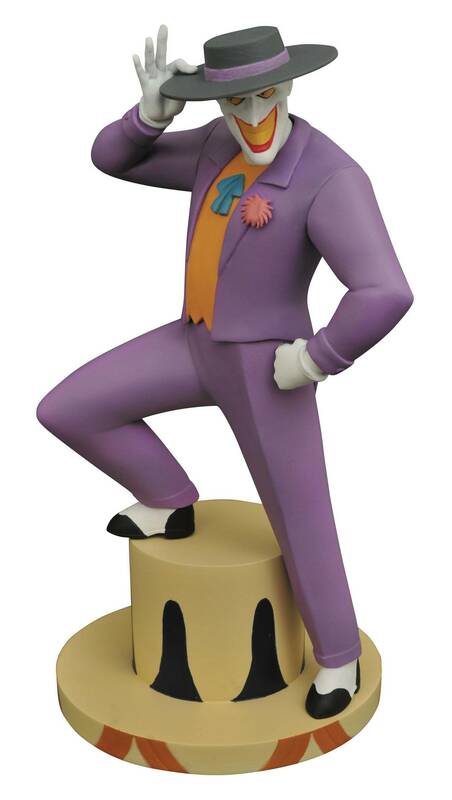 Joining the previously offered Batman, as well as the classic cartoon's numerous Femme Fatales, this 9-inch scale PVC figure of The Joker depicts him wearing his famous wide-brimmed hat, with one foot on a ringmaster's pedestal, and is sculpted with a high level of detail with exacting paint applications. Packaged in a full-color window box, he is in scale to other Gallery and Femme Fatales PVC figures. Sculpted by Varner Studios! PVC Figure .